Hamilton is a port city located in Southern Ontario on the western end of the Niagara Peninsula that wraps around the westernmost part of Lake Ontario. The majority of the city, including the downtown area, is on the south shore of the lake. Hamilton is situated in the center of the Golden Horseshoe (so named because of its geographic shape) and is approximately halfway between Toronto and Buffalo, N.Y. 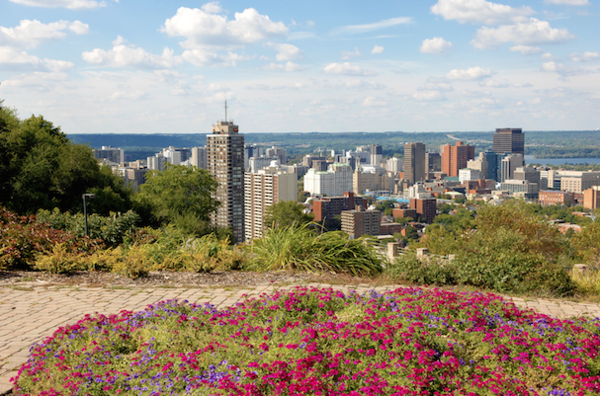 Known as the home of Canada’s largest Royal Botanical Gardens and also as the Waterfall Capital of the World, with more than 100 waterfalls, there are plenty of outdoor attractions in the summer. But when winter rolls around, the average high temperature in January is below freezing at -1 degree Celsius (30 degrees Fahrenheit) with a low of -8 degrees Celsius (17 degrees Fahrenheit), as reported by currentresults.com. In addition, on average Hamilton has 129 days a year when the minimum temperature is freezing or below. Warming up cold floors becomes more of a necessity with extended low temperatures that last over a third of the year. 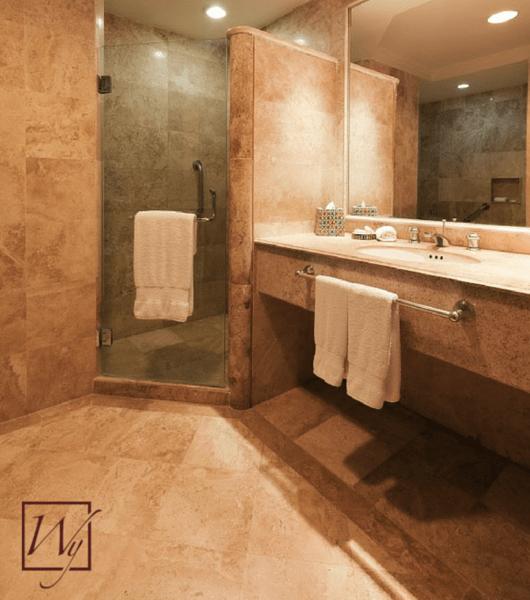 This customer decided to warm up his tile flooring when remodeling his 62-square-foot guest bathroom so that visiting friends and family would be comfortable. 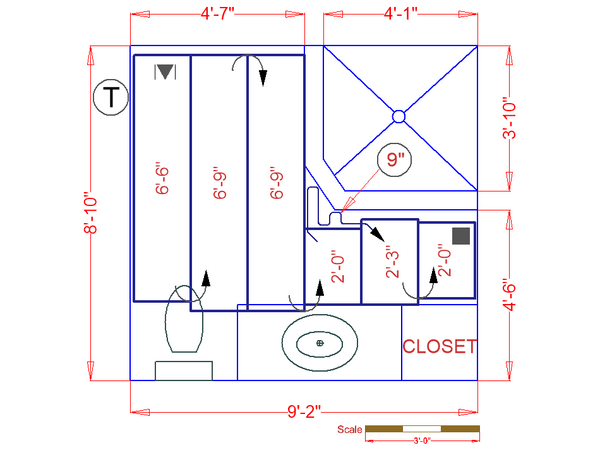 The bathroom (see floor plan) employs a 1.5- by 27-foot TempZone™ Flex Roll, which cost $486. This equates to $11.85 per square foot of radiant warmth underfoot. In addition, the cost to operate the floor-heating system is quite low. It costs only 17 cents a day to heat this bathroom, according to WarmlyYours' Energy Use Calculator. This tool factors in the average kWh cost in Hamilton, which is approximately 15 cents. During the coldest month of the year, it costs about $49.73 to run the system, according to WarmlyYours' Heat Loss Calculator. Along with factoring in the average kWh cost in Hamilton, the Heat Loss Calculator estimates the desired room temperature, sealing factor, insulation factors and more to determine whether radiant heat can be the sole source of heat for the room and how much the operating costs will be. In the case of this Hamilton bathroom, this system can be the primary source of heat for the room. To find out the cost of supplying in-floor heating to your bathroom — or any other room in your home — simply check out WarmlyYours' Instant Quote tool online. This tool will show you the exact product you need along with the corresponding cost. And, it gives you the option to upload a drawing or image of your room's floor plan so that our sales team can provide you with a customized installation plan. This detailed plan shows you exactly where the electric floor-heating system will be located and specifically how it will be laid out for optimal functionality. Previous Post How Much Does it Cost to Add Floor Heating to a Baltimore Kitchen?